When travelers to Italy hear the word "museum", we typically think of walking along velvet rope-lines through hallways on old tile floors, admiring paintings, sculpture, and other artwork and artifacts from throughout history. But a stuffed alligator? 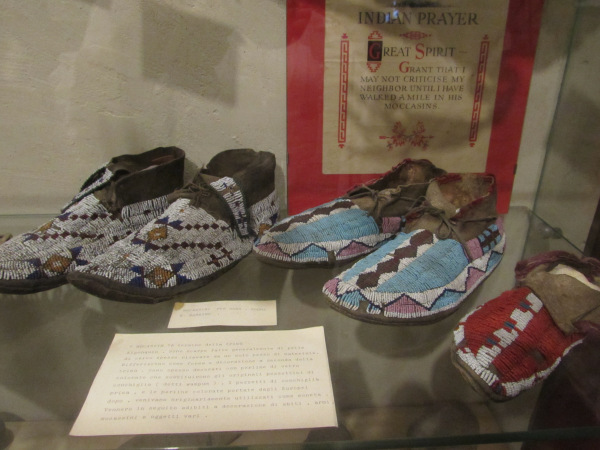 Lakota moccasins? Salami? Mechanical pianos? Here is a list of some of our favorite museums in Italy - you probably didn't learn about most of this stuff in Art History 101. Housed in the beautiful Castello Sforzesco in Vigevano, the shoe museum features shoes spanning multiple centuries and cultures. There are shoes from medieval Europe, Asia and the Middle East, a series of European shoes from the 19th century, and a progression of women's heels from the last hundred years. Notable displays include red patent leather shoes of Pope Benedict; Shaquille O'Neal's loafers; and sandals of Beatrice D'Este, a Sforza duchess and patron and friend of Leonardo da Vinci. The fascinating Museum of Mechanical Musical Instruments is housed in the castle of Sestola. The museum displays dozens of old musical devices from the 17th century onward, from chiming clocks to cranking music boxes to miniature automated pianolas. There are daily demonstrations of many of the instruments - it's like getting an earful of the past. The castle also houses the Museum of Mountain Civilization with its tools, machinery, and other artifacts from ages past, giving an idea of what life was like in these highlands hundreds of years ago. A whole room is devoted to Teresina Burchi, a Sestola native who became a hugely successful opera star in the early 20th century – on display are many items from the costumes she wore in famous opera roles in Milan and elsewhere. The castle itself is a beautiful hilltop fortification that boasts stunning views of the town of Sestola below and its surrounding valleys. This museum is housed within the walled castle town of Monteriggioni. The circular walls are dotted with over a dozen towers. The museum has a few rooms with armament from multiple centuries. Unlike most museums, this museum encourages you to touch the displays. You can try on chain mail, helmets, and shields, and hold swords and clubs. There are a few types of suits of armor, showing how they progressed over the years. For an extra euro, you can get the combo ticket which allows you to climb the stairs to the top of the castle walls, boasting gorgeous views over the castle complex and the countryside. This museum is housed within the castle of Rivalta. It features centuries worth of Italian military uniforms. Mannequins in uniform line long hallways in chronological order. The castle also holds a very extensive collection of weaponry and uniforms from the Battle of Lepanto (1571), including two large flags that were flown on the flag ship of the attacking fleet. Weapons and uniforms from opposing sides of the Battle of Lepanto, the Ottoman Empire and the Holy League, are also displayed. Pienza's beautiful Duomo (cathedral) is often visited. What many people miss, though, is just around the corner: The entrance to the Baptistry, underneath the aspe of the Duomo and predictably named after San Giovanni. Inside is a treasure trove of artifacts, including a huge, carved baptismal font and fragments from the original church of Santa Maria which stood on this site, along with portraits of Pope Pius II and other local church leaders and Popes over the centuries. 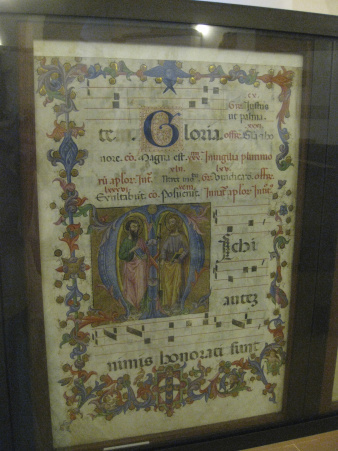 There are also about a dozen surviving large pages of medieval music notation called tablature with very intricate and colorful designs outlining the pages, which contain hidden birds, faces and hands. Better yet, on the far side of the baptistery is an entrance to a series of lower catacombs. These are fascinating to explore: They were modernized and solidified in the early 20th century when support construction became necessary as the entire church began to sag under its own weight on the clay cliffs of the hillside. Walking through these tunnels feels like you are really in some secret part of the city. You can follow the tunnels to their ends, which have barred wooden doors. Peek through the cracks - you’ll see the roads that ring Pienza. As you take a walk around town on those roads, you’ll know where those secret doors go. Copper artist Cesare Mazzetti learned the trade from his father, who learned it from his father. 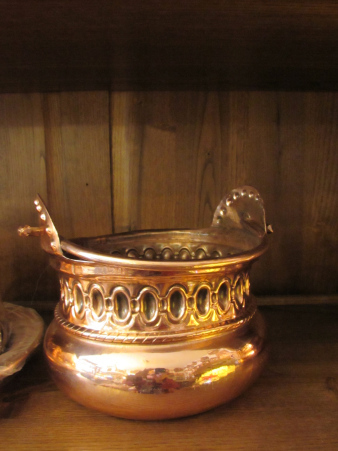 The store is a treasure trove of handmade copper pans, distilleries, plates, clocks, oil cruets…. and so much more. Immediately next door to the store is a small museum, which displays works by Mazzetti’s family and other pieces. This is a great chance to meet a living, working artist; support the artist; and find great gifts and souvenirs to bring home. For chefs, this is a ‘must stop’, as acquiring handmade copper cookware is a cook’s dream. The Castello di Porciano is one of many castles looking over northeast Tuscany's beautiful Casentino valley. This 11th century castle sits on a hill surrounded by a tiny medieval village a few miles outside of the town of Stia. It belonged to the Guidi family for centuries, and afterwards gradually fell into ruin. In the 20th century it was restored by American George Specht and his Italian wife Flaminia, heir to the property. The two met in the aftermath of WWII – he was a US Army captain, she was a Red Cross nurse and midwife. Specht came from North Dakota, and the museum holds some ancient First Nations artifacts he brought to Italy with him. Today the tower’s bottom three floors house a museum that offers a fascinating walk through the history of the Casentino region. On display are countless heirlooms from the residents of the village and surrounding farms: Antique agricultural and domestic equipment, tools, weapons, and more, donated by the locals to show their pride in their heritage and history. Views from even the lower tower windows are stunning, overlooking the town of Stia and the surrounding Casentino valley. George and Flaminia are buried in the castle’s cemetery. The shadow of the tower crosses over the graves every afternoon. Situated directly on the river Arno in the hills of the Casentino, the town of Stia used water-power to become an economic powerhouse, producing the famous Casentino cloth in its wool mills. The extremely durable and strong cloth has been made here for some seven centuries; though it was initially made by the Franciscan friars for their monastic robes and other everyday uses, today it is a hallmark of high fashion to have a colorful coat or cloak made from this material. Just off Stia's main piazza is the Museo dell’Arte della Lana - the Museum of the Art of Wool-making, where you can learn all you ever wanted to know about the wool-making process, from the middle ages to present day. This little mountain town was settled as the home of an ancient order of monks – their abbey was founded in the 10th century. Next to its ancient church (the only remains of the original abbey) is the entrance to the small but interesting (and free!) Casentino Forest Museum. A walk through these rooms takes visitors on a virtual tour of the countryside, with hundreds of taxidermied, former residents of the Casentino forest, as well as displays of artifacts and tools from mankind’s history here. Volunteer guides are on hand to offer a tour, though the chance of having an English-speaking one is pretty slim in this very remote town. While the tour is informative and interesting, non-Italian speakers will still be able to enjoy this museum sans tour. This ancient oak-paneled and -ceilinged pharmacy, built in 1543, still contains its original furniture. The monks of Camaldoli make a large variety of products, many of which are made the same way they were 1000 years ago, hence the labels in Latin. Here you can find soap, liqueurs, all types of body creams, toothpaste, shampoo and bath products, beeswax products, elixirs, candies, honeys and jams. They make a large variety of amari (liqueurs) that are unique and delicious. While this is not technically a museum, the shop has two large rooms dedicated to displaying artifacts from the monastery. There is a library room with many pages of anatomical drawings from centuries past, ancient recipes for remedies, and other writings of the monks. Another room displays several mortar and pestles, vats and urns used by the monks, and bizarrely, a stuffed alligator. The Museum of Salame is located on the lower floor of the Castle of Felino. This museum gives visitors a great history of the process of salami making in the region. Salame di Felino in particular is locally famous, noted in part for the peppercorns prominent in the ancient recipe. 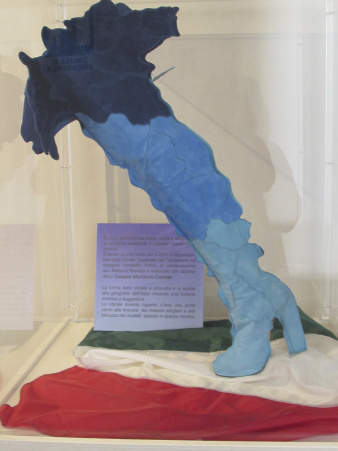 The museum is self-guided with information signs in Italian (but English guides are available), and includes displays of the equipment used in the production, so visitors can see literally how the sausage is made. This museum makes an interesting and fun stop before taking lunch at the Locanda della Moiana, upstairs inside the castle walls - and don't forget to order the salami plate! The tower at the top of this beautiful medieval hill town overlooks a carefully-maintained grove of fruit trees. 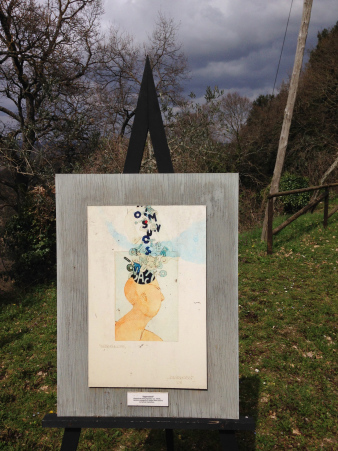 From time to time, the space between the trees is utilized as an open-air museum for different local artists to display their paintings or sculptures. It's a unique experience to take a quiet stroll through these beautiful rows of trees while taking in the artworks; in the spring, the only sound is the buzzing of bees in the tree blossoms. Interested in visiting more unusual places and avoiding the tourist hot-spots? We can design a custom trip to Italy where you can explore quirky locations like this - they're fun, unique, and definitely memorable!